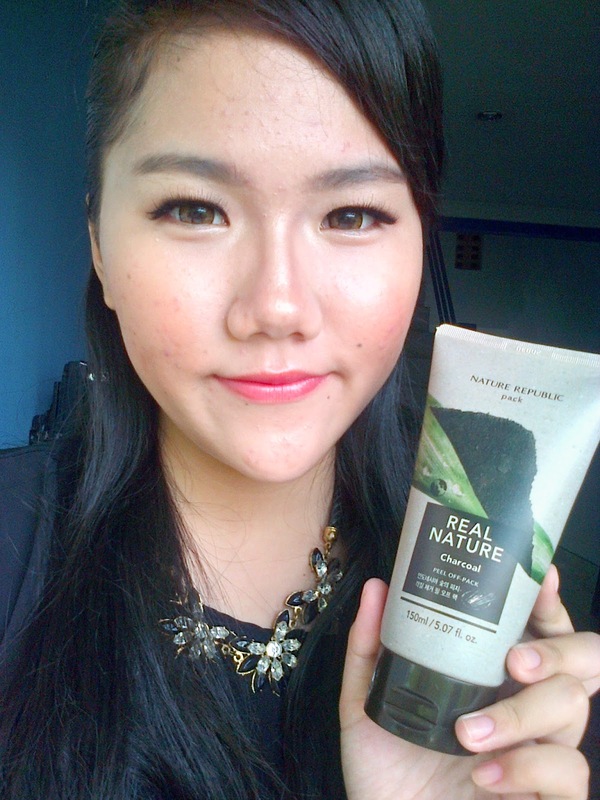 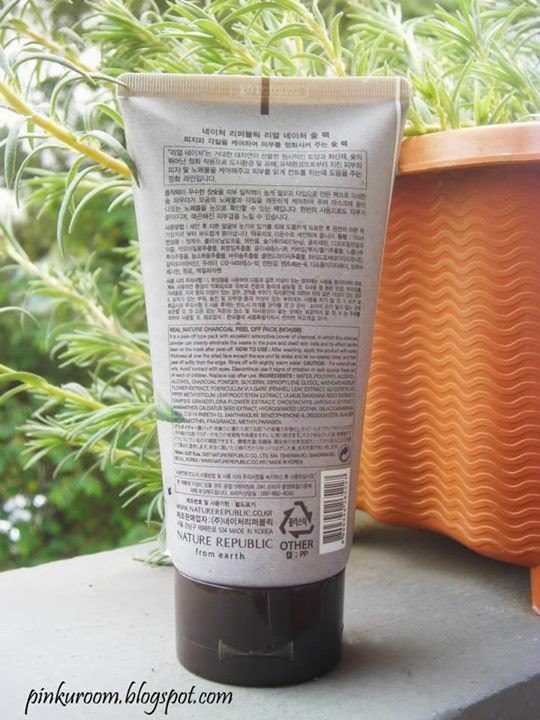 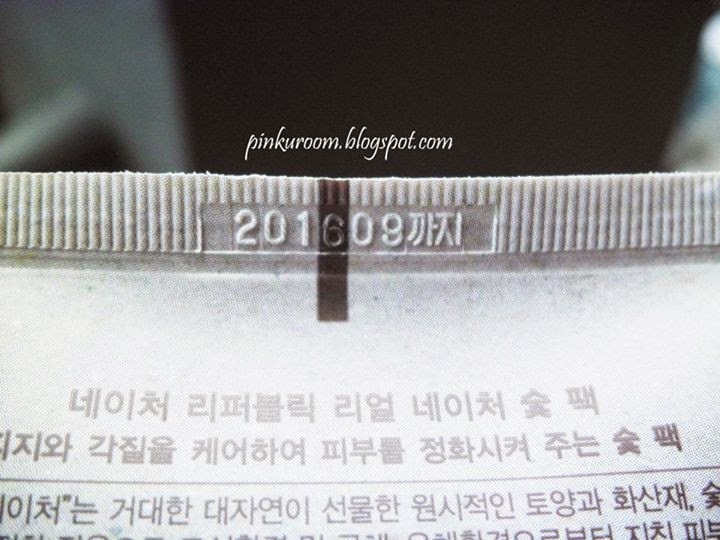 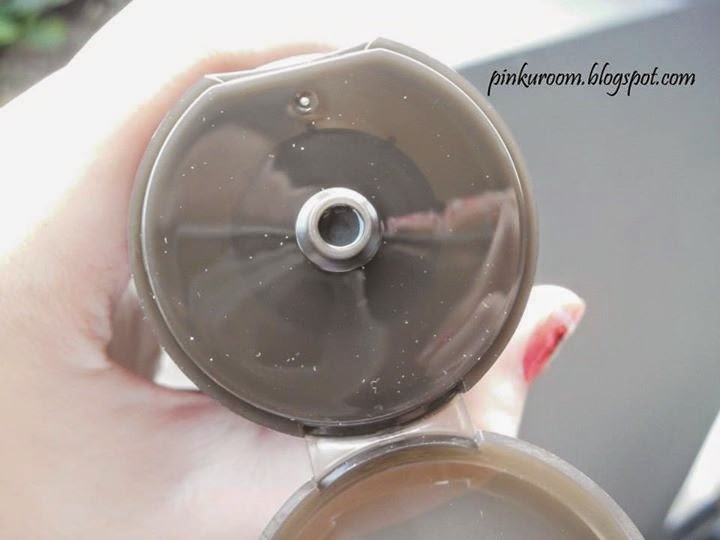 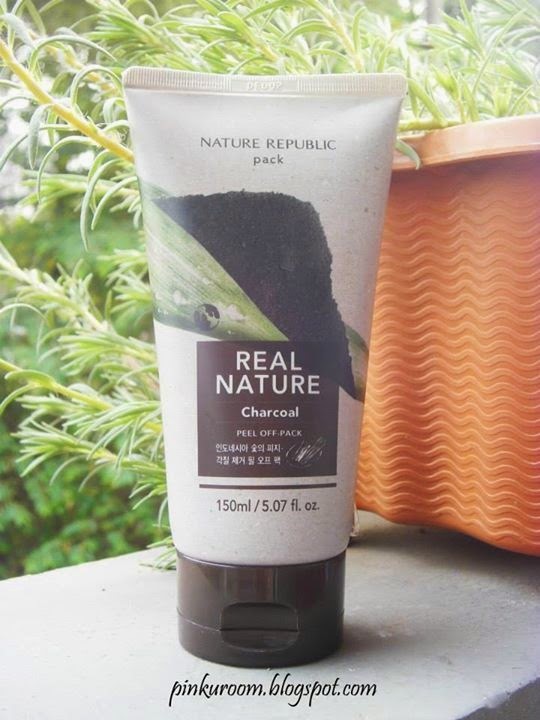 Today I want to review peel-off mask from nature republic, Real Nature Charcoal Peel-Off Mask. 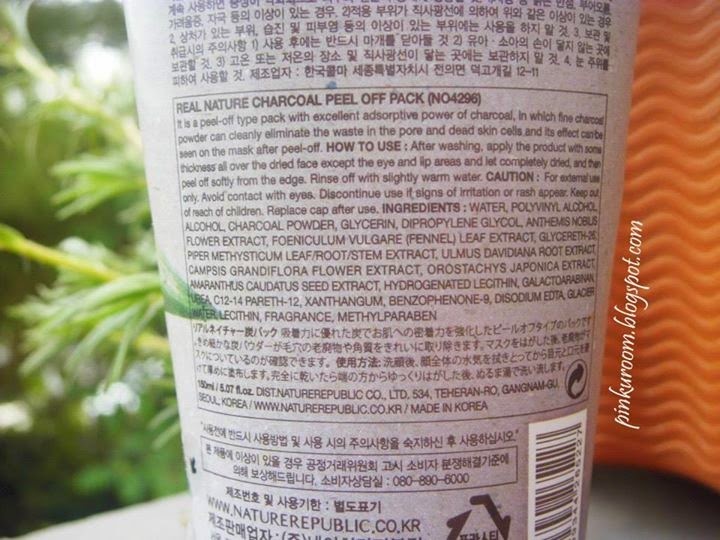 The texture is sticky like cathy doll white heads cleansing black clay mask. 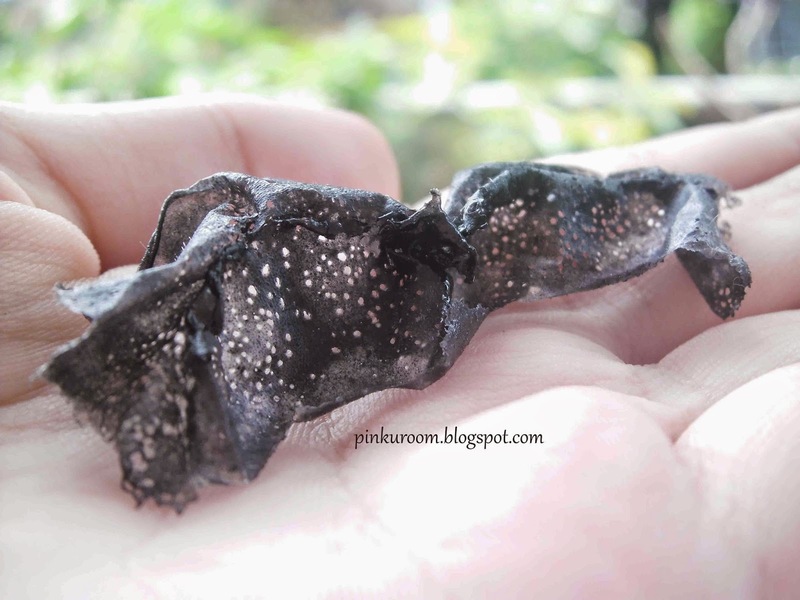 Is this effective to remove blackheads and whiteheads? "NO"
What I like, this is a "peel-off" mask but when it peeled, it's not hurt at all like other peel-off masks!